More than 12 years experience serving legal documents. Jack Daniel’s Legal Services was founded in 1989 by Jack and Ernestine Daniel in an effort to provide attorneys and their clients a choice in civil process. Professional process service is a must at Jack Daniel’s Legal Services. Our process server staff are Texas Supreme Court certified, have educational endorsements from the Texas Process Servers Association, and are bonded notaries. In 2005, the Daniels' decided to retire. Robert Moreland was their office manager and acquired the business from the Daniels. 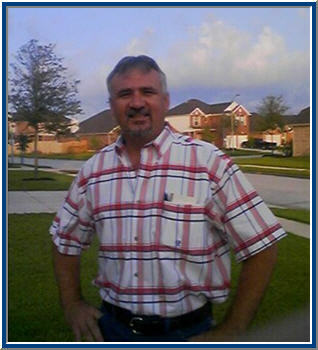 He has since expanded the business to handle all of southeast Texas as well as nationwide service. Jack Daniels Legal Services is experienced in court filings, record retrieval, process service, mobile notary service, and skip-tracing. We utilize on-line process serving software with the ability to notify clients of status via email, fax, or phone per customers preference. Jack Daniel’s Legal Services provides top-notch service of legal process, document copying, and court messenger services, with excellent customer support - a combination that can’t be beat! Through our commitment, experience and expertise, Jack Daniel’s Legal Services has established a business relationship with each of our customers that will last a lifetime! Jack Daniel’s Legal Services was founded in 1989 in Montgomery County serving the Conroe, The Woodlands, Willis, Magnolia, Montgomery, Porter, and Huntsville, Texas area. We have since expanded to service Harris county as well as nationwide. Our servers are certified by the Texas Supreme Court to serve any Texas County documents and are required to attend training classes and seminars to ensure that our knowledge on new policies and methods of obtaining service is up to date. We have process servers covering all of Montgomery, Walker, Trinity, Polk, San Jacinto, Madison, Liberty and Harris Counties along with service to TDCJ units in the area to name a few and make arrangements for service of process to all others as well as nationwide. The average turnaround time is 1-5 days for NORMAL services. RUSH services typically occur within 30 minutes to 24 hrs of receipt. Whether it is a summons, subpoena, records, notary or copy jobs, entrust the job to Jack Daniel’s Legal Services and leave all yours worries behind. Record Research: Court and other records research, retrieval, and copies for use in court cases. Includes DMV records, real estate, major stock ownership, mortgages, lawsuits and arrest records, bankruptcies, social media, and more. Skip Tracing: For evasive defendants, identifying their location through investigative skills, online databases, and interviews with neighbors, friends, and family. Mobile Notary: Notary services for subpoenas, other legal documents, or anywhere you need a notarized signature. Our notary will come to your office or you can come to ours. Jack Daniel’s Legal Services offers competitive prices on all forms of process, skip tracing, out of county service, courthouse filing, courier services, mobile notary and research. From the moment we receive your request, we will serve your papers quickly and correctly. Rush service is available upon request. Incoming orders are handled by our in-office staff of specially trained and knowledgeable employees who are fluent in rules of process service. Jack Daniel’s serves all counties in Texas and throughout the United States. Our current network of Texas Process Servers are certified by the Texas Supreme Court. All special arrangements can be made to accommodate you and your client. Please see the below list of our services and pricing offered at Jack Daniels Legal Services. Please call prior for additional pricing information. Jack Daniel's Legal Services tries to accommodate all special requests to better serve you and your client. We are certified by the Supreme Court of Texas to serve process. Our services are offered throughout Texas and all other states. 2257 N. Loop 336 W.
© Copyright Jack Daniel's Legal Services. All rights reserved.